Jesus said in Matthew 5 verse 14, “You are the light of the world. A city set on a hill cannot be hidden.” If He lives inside of us then we have a heavenly light within that wants to shine. In the world in which we live there is darkness that threatens to overtake and sweep away the souls of people, into places and situations that are destructive and potentially eternally damning. In Daniel 12:3 an angel said to Daniel, “And those who have insight will shine brightly like the brightness of the expanse of heaven. And those who lead the many to righteousness, like the stars forever and ever.” What a glorious thing to shine so brightly. I know some people who shine brightly like what is described in this verse I believe. They seem to stand out in a crowd, have wisdom that doesn’t come from earth, but from heaven, and they have a gift of making the world around them a more loving, gentle, heavenly place. I am very grateful for such people. One such person as this whom I am very thankful for is my friend and ministry helper, Eva. She has a great deal of insight and I’ve seen her be very effective in leading many to righteousness. She tells people about the love of God and their need for salvation in a way that people listen to her very intently and come to realize their need for a Saviour. One recent time when I was privileged to observe this, a woman decided within about three minutes to receive Jesus as her Saviour. Eva had talked to her before about salvation and this was harvesting time. Eva grew up in Western Kenya in the Sango area. She is the second to the last born out of 14 children. 7 of the children have passed away. Her father also passed away in 2008. They were very poor growing up. They lived in a small tin house and struggled to find enough food. Oftentimes they were given just 1 meal per day to eat and sometimes that was just vegetables and maybe ugali, which is cooked white corn (maize) meal. They also had a difficult time coming up with school fees. There wasn’t enough money for her to finish high school so 15 years after she should have graduated she returned and finished high school. Now she has also obtained a diploma from a Bible college and a certificate in ECD (Early Childhood Development). She is currently working on achieving a diploma in ECD through night school. She’s also been trained in Christian counseling. Since October of 2010 she’s been suffering from painful fibroid cysts. 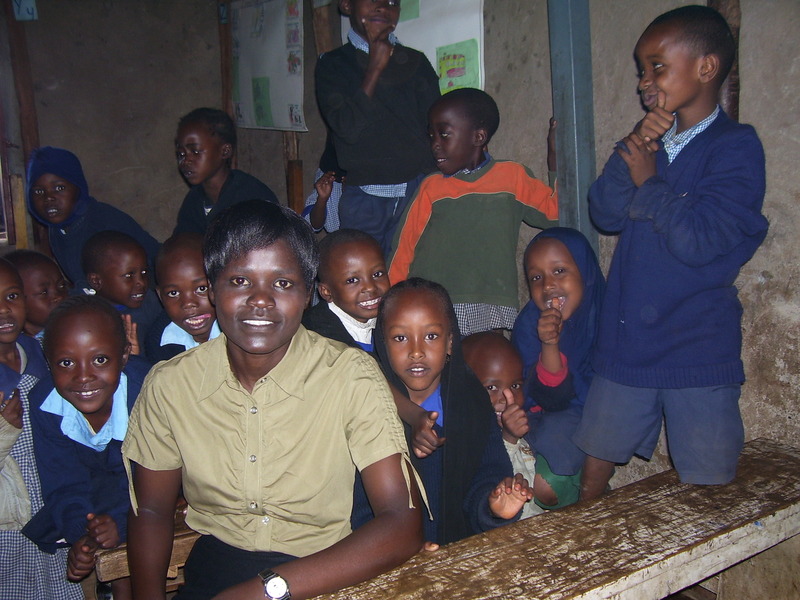 In spite of, and in the midst of, her pain she’s continued her work of assisting impoverished children in Kenya attain to new heights in their lives. Since 2013 she has been helping me with the work of rehabilitating street children. She’s done a truly amazing job of finding great schools for them to attend, reconciling them with their family members, counseling alcohol addicted parents, as well as tutoring and discipling the children. And much of this while being in intense pain due to the cysts. One time she could barely make the walk home after taking some of the sponsored children in my program to school. She is also the leader of the Kenyan branch of a Canadian drama ministry called DRIME. They regularly perform wonderful dramas that explain the Gospel to people. She has visited several doctors and had 4 ultrasounds performed. Each time the scan showed the existence of cysts, the last one showed the largest cyst is 4.5cm. We’ve learned that the doctors can perform a surgery to remove the cysts. The surgery costs 80,000 Kenyan shilling, or approximately $1000 US dollars. She has managed to raise 30,000 shilling thus far so is still in need of 50,000, or about $600 US. It is our big hope and prayer for her that she be able to have the surgery and carry on with the valuable work she’s doing for the Lord and her fellow Kenyans, without having the pain of cysts. Thank you very much. Keep shining your light in the darkness for Jesus. He’s coming back soon. May you lead many to righteousness and shine like the stars of heaven forever. God bless you!